To be clear: Joan Armatrading is not retiring. She may be in the thick of what she has earmarked as her final world tour but there are no plans to stop songwriting, recording or even playing live. It’s just that having embarked on lengthy tours following the release of each of her albums since 1972, the much-loved singer-songwriter of ‘Love and Affection’, ‘Willow’, ‘Drop the Pilot’ and ‘Me Myself I’ is quitting the touring lifestyle while she’s still ahead. Fortunately, she only has positive reports from this final hurrah, which began last September in the UK, before taking in Australia, New Zealand, Europe and the US, with more Scottish dates to come, including an appearance at North Berwick’s multi-arts festival Fringe by the Sea. 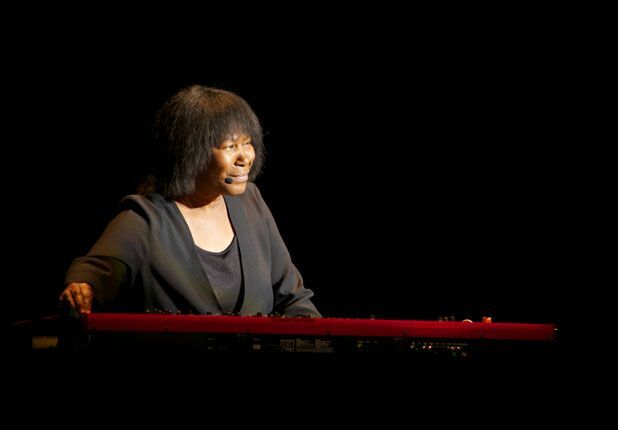 As well as being her last, this tour is also something of a first for Armatrading as it features just herself onstage for the first time since a debut jaunt round the US over 40 years ago. Armatrading’s formative fascination with the tools of her trade is echoed by the experiences of other musicians. Despite similar warnings to those issued in the Armatrading household, Tito Jackson would sneak a play on his father’s precious guitar. He got a beating for his troubles and then a life-long career playing with his brothers. Johnny Marr has also talked about standing transfixed as a tot in front of a guitar he spotted in a local shop window. There is no bombast in her words. Armatrading is matter-of-fact, with a traditional approach to creative graft. She has now been plying her songwriting trade for 50 years, over some 19 albums, including her most recent release, Starlight. As an arranger, she has sounded equally at home whether embracing folk, jazz, pop or blues, with the gentle ache of her soothing contralto the glue that binds her catalogue. Yet performing her own songs was not part of the original plan. She laughs as she recalls the old-head-on-young-shoulders title of one of her earliest numbers – ‘When I Was Young’ – written in her mid-teens and still dreaming that some famous singer would choose one of her songs to make their own. ‘I was incredibly shy when I started out,’ she recalls. ‘But I so wanted people to hear my songs that I was able to put my shyness to one side so I could get the songs in front of people. I wasn’t particularly interested in singing but when people heard the songs they always said that I had to sing them. Even when I did my first record I still thought “people will hear the songs and I can go back to being a writer” but obviously that’s not how it worked out.’ And then, with characteristic understatement: ‘it’s fine, I’m not complaining’. Joan Armatrading, Palais des Glaces Spiegeltent, The Harbour, North Berwick, 07519 723688, 11 Aug, 7.30pm, £30. Multi award-winning, MBE awarded artist with a sublime voice, playing self-penned soul and sophisticated pop from her impressive back catalogue. These solo dates form part of her final world tour.